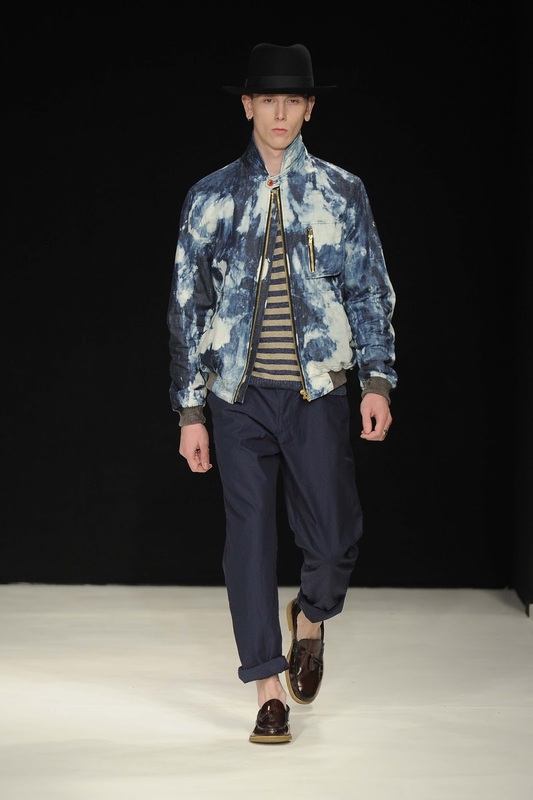 Jean Michel Basquait's influence can be felt throughout the entire Oliver Spencer Spring Summer 2014 collection. Splashes of bleach on dark navy suits reflect the expressionist flashes of colour from Basquait's early graffiti works and the faded red trench coat carries through the same energy making it a statement within the collection. 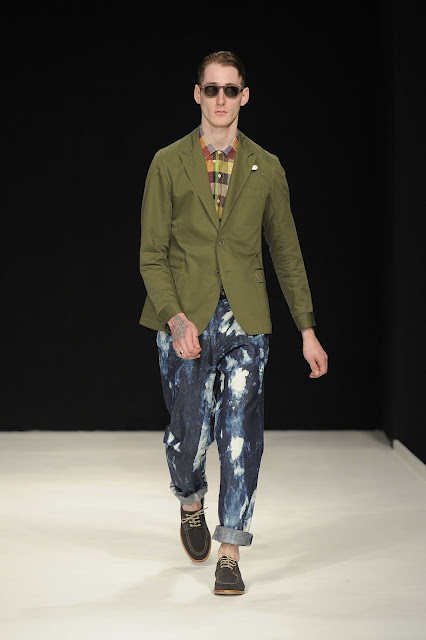 Oliver Spencer explored London's ever evolving subcultures which are heavily guided by art and architecture. This influence can be spotted in the structural tailoring of the suits and the energetic bursts of colour which have been layered with splatters of paint making the collection stand out. 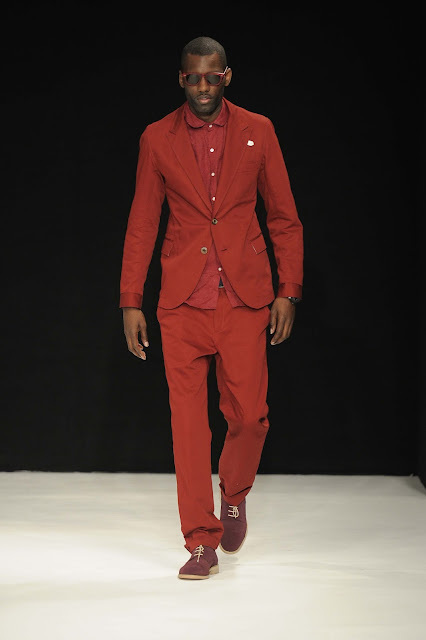 The show was opened by Idris Elba who provided a surprise DJ set as guests filed into their seats and rapper, Wretch 32 made his modelling debut as he walked down the catwalk in a statement skinny red suit. Oliver Spencer has once again produced a top notch collection. 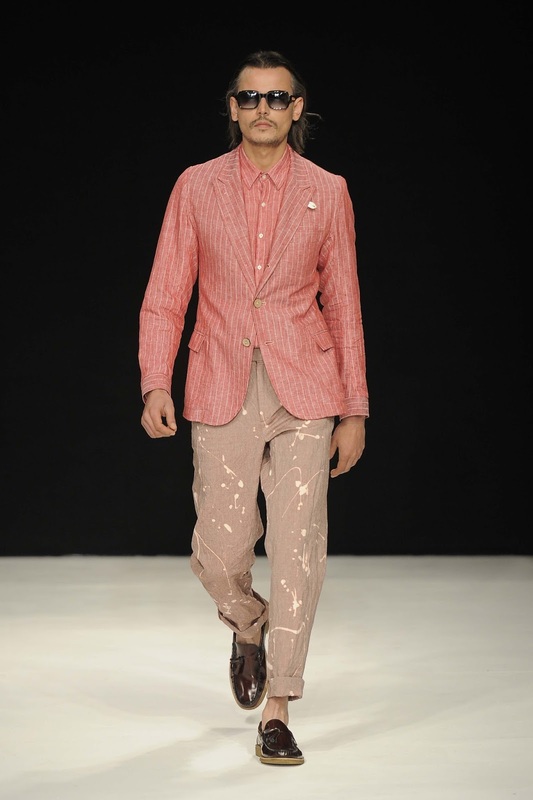 His intelligent approach to design allows the collection to have a creative core whilst still maintaining a wearable mass market appeal.